Jerold’s Roofing is a full-service roofing company that provides professional services at affordable prices. Jerold’s Roofing is a premier roofing company that specializes in the art of general carpentry. Jerold’s Roofing is a premier roofing company that provides professional services to the greater Aiken, SC area. We pride ourselves on delivering superior services and products at the most competitive rates around. We are licensed, insured, bonded and ready to work on your next home improvement project. Our highly reputable company can take on jobs of all sizes and complexity. We know that the only measure of our success is through the satisfaction of our customers. We are committed to providing quality workmanship along with honest and reliable service. •	New Roofs—We can provide the roof of your choice during new construction. We can also remove the pre-existing shingles on your roof and replace them with new shingles. •	Re-Roofing—This involves applying an additional layer of shingles over the layer that already exists. •	Roof Repairs—We cover all types of roof repairs. This includes shingle and ventilation services. We understand the importance of having a safe and secure roof over your head. We can handle all of your roofing needs with skill and efficiency. 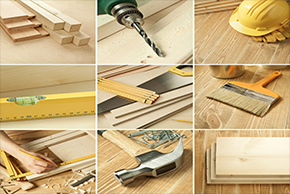 Our expert tradesmen are dedicated to ensuring your complete satisfaction on every job we do. After all, quality matters! If you are looking for a professional roofing company that you can trust and rely on, contact us today!